One big goal of mine has been to figure out how to streamline weekly meals. Lemme tell you, it’s no easy feat. I’d heard about meal kits, but I’m a home cook at heart, and the thought or trying these services was not appealing! Packets, and pockets, and whatnots … How could they be any good?! Hmph. Well, one day I got an email in my inbox from Hello Fresh offering a free everything trial. Free food, free shipping, three meals, for two people. I mean, c’mon, if it’s free its for me. So I said, what the heck! Let’s try this mother. Long story short, it started a crescendo of meal kittery. Highly recommended and our current provider! The recipes are interesting, but not too complex, taking around 30 minutes to prepare. I love the more creative meals, and have definitely gained a couple of tricks up my sleeve. I suggest having a chef’s knife, a zester and a mandolin take these meals to the next level. We’ve been introduced to punchy spices (oh lawdy, dukkah spice!) and am surprised at all the ways to make chicken breast / white meat taste good (dark meat eaters here). This service focuses heavily on protein-based meals, but there is always one weekly vegetarian option available. They offer three meal plans – Classic, Veggie, and Family – with two two-person plan starting at $9.99 per person. The meals are hearty and portion sizes generous. Our favorites to date: dukkah-crusted anything, make-the-world-turn burgers, and the street-style fish tacos. Note: my husband is born and raised in Southern California. If he gives the tacos a thumb up, you damn well know they’re the real deal. The customer service experience has been exemplary. 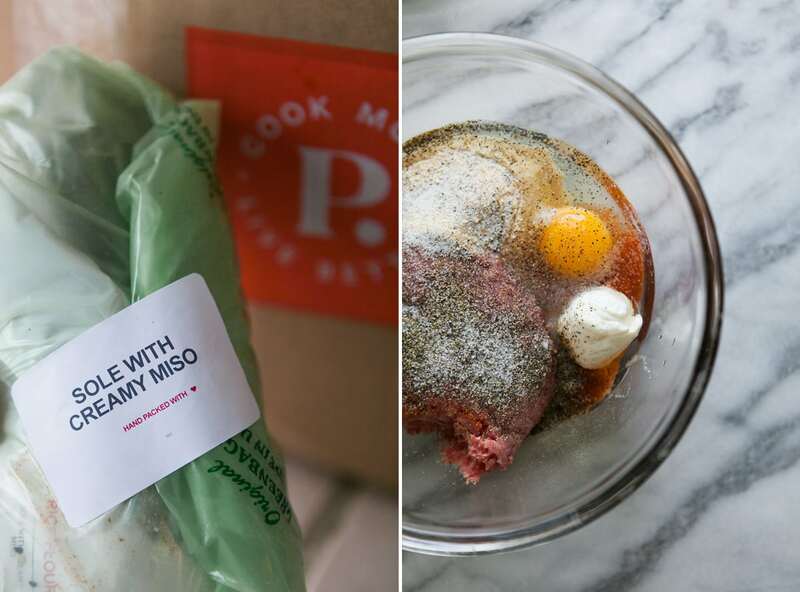 We also love the Hello Fresh App, where we can quickly customize our meal kits right from our phone. The delivery comes in a climate-controlled mylar bag and sorted into three boxes, with the proteins staying chilled on the bottom with ice packs. Simple, and to the point. As silly as this might sound, I love the play on words the recipe. Such as, “When Steak Met Potatoes” or “Lean Mean Chicken and Greens” just make it even more personal for me. It could be my love for puns. They recently upgraded the recipe cards to an even more attractive 8.5 x 11 card, making it easy to read and cook at the same time. This service was delicious, and almost my favorite, but the customer service experience was lacking. The recipe selection was very comparable, if not a bit better, than the quality of Hello Fresh, bringing high quality, organically sourced food and ample portions to the table. It’s necessary when you’re feeding a hungry fireman with a good appetite. Green Chef excels in catering meal kits to specific diets – Omnivore, Carnivore, Gluten-Free, Vegan, Paleo, and Vegetarian. Their two-person plan is more expensive than Hello Fresh, starting at $10.49 per person for the vegetarian plan, upwards of $14.99 for the paleo plan. The packaging comes insulated with eco-friendly recycled cotton and color-coded ingredients. Recipes are straightforward and chefy, with an average cook time of 40 minutes. This service introduced me to cooking barley, which has become a staple side dish in our home. My two biggest issues with Green Chef: 1) I received coupons to share free boxes with my friends that did not work. When I called to request help, they basically told me they couldn’t do anything about it; and 2) out of all services, the recipe cards were the least attractive and the print quality low. This decision came down to dollars. It was a more expensive service, with a disappointing customer service, which is ultimately why we choose not to more forward. I recommend trying them out because freshness-wise, they’re killing it. This is the first meal kit I met. I was seeking a service to get my parents into since the perpetual “what’s for dinner?” question persists and they often order out! I liked this service for them because it was a straightforward, meat and potatoes kind of vibe. Plated is great at keeping it simple. The meal kit offers three plans – 2 Servings, 3 Servings, or 4 Servings per Night – with all meals set at $12 per person. The meals are substantial and well crafted. Though the dishes are more basic, the average prep time was approximately 40 minutes. They even offer desserts, too. 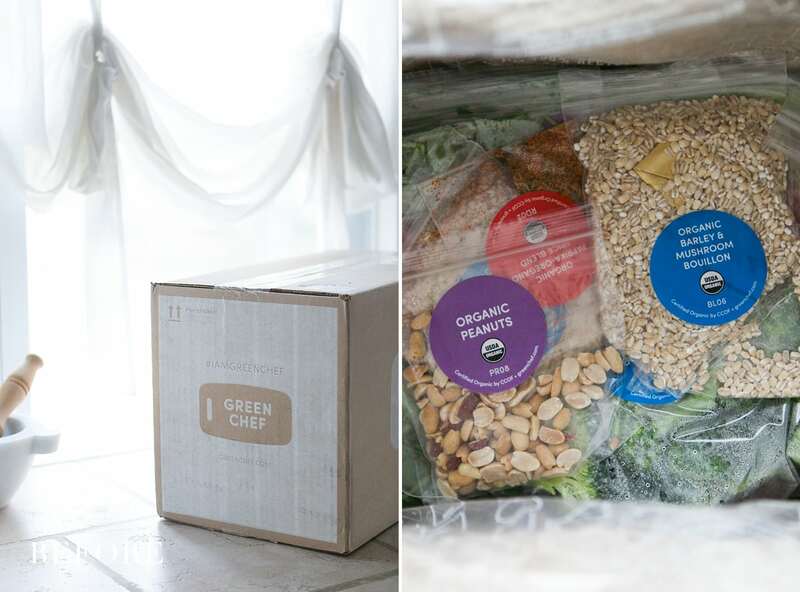 Like Green Chef, the package comes insulated in an eco-friendly, recycled cotton with the exception that the ingredients are wrapped in plastic bags and recipes labeled. This wasn’t my favorite design, however it was very easy to fit everything in the fridge. Props go to Plated for the prettiest recipe cards!! The designer of these 8.5 x 11-inch recipe cards did an outstanding job and the print quality is worthy of a frame. This service targets those who want to eat something healthy, home cooked, and delicious, without having to think too much. Since I love to cook and learn new thing while do so, that was the major reason we opted to move on. Terra’s Kitchen stands out among the rest for their simple and timesaving approach, while focusing on healthy dishes from an array of international cuisines. 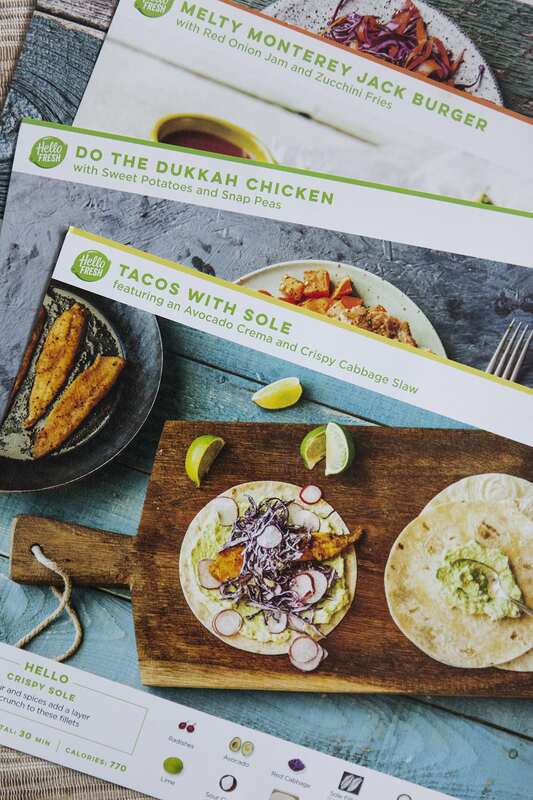 The meal kit offers three plans – 3 Dinners for two, 4 Dinners for two, or Two Dinners for four – with the secondary options of I Like it All, Vegetarian, and Weight Loss. Meal kits start at $9.99 per person, with a minimum order of $62.99 per week. TK’s claim to fame: your meals are ready in 30 minutes or less. How you say? Ingredients come chopped and ready to cook in a reusable, climate-controlled vessel. Once unloaded, replace the shipping label with the enclosed return label for pickup at your front door. It’s TK’s way of trying to eliminate meal kit waste. Also unique to TK, if there’s room in your vessel, you can add reasonably priced Salads + Smoothies, Proteins + Sides, and Snacks + Juices. I’m a big snacker, so this perk called out my name. The major downside is the portion sizes. My buff-and-tuff fireman has a big appetite, but so do I! The servings are very small. Out of the three I tried, two of them I made for lunch and ate entirely myself. The last recipe was a vegetable fried rice and I used it as an accompaniment to another dish. It simply was just not enough food to feed us, and is the main reason we opted for another. A nice perk to all services listed above is there’s no long-term commitment. You can pause / skip a delivery or cancel your subscription at any time. It’s also incredibly easy to change your diet / meal kit plan on each of the websites. Time wise, I am still amazed at how much three planned meals a week has saved. Having something scrumptious to make for dinner without the guesswork is a great first step to building a solid weekly meal plan. Interested in trying out a meal kit? 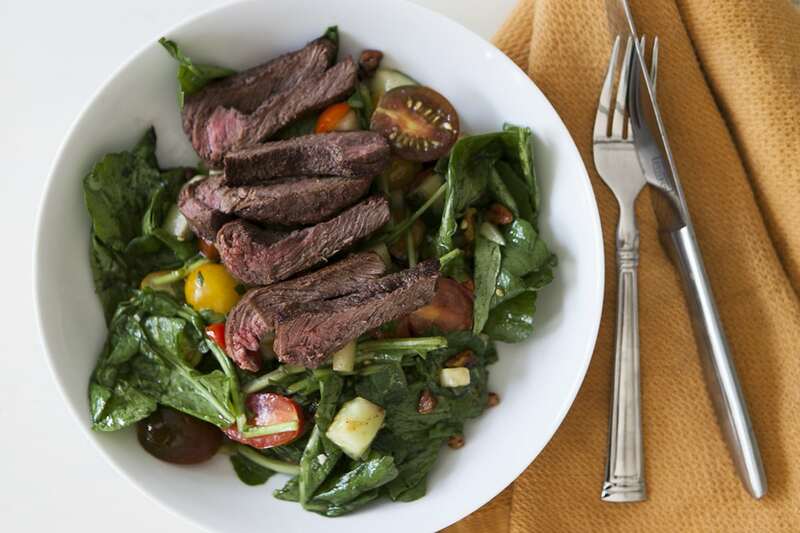 Click below to get $40 off your first Hello Fresh box! This is not a sponsored post. This article reflects my actual experience and honest opinion about these services and how I feel they have truly benefited my daily life.